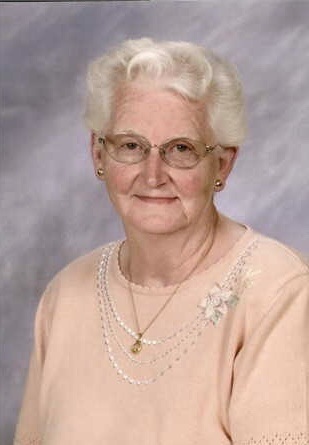 Betty J. Tueting: 88, of Elkhorn, WI died Saturday April 13, 2019 at Lakeland Health Care Center Elkhorn, WI. She was born November 12, 1930 in Walworth County, the daughter of the late Raymond and Marjorie (Fuller) Fish. She graduated from Lake Geneva High School. On February 12, 1949 she was united in marriage to John R. Tueting at the First Baptist Church in Lake Geneva, WI. John died August 5, 2003. She was a member of First Evangelical Lutheran Church of Lake Geneva. Betty and John farmed for many years in Zenda, Lake Geneva and Elkhorn before retiring in 1986. She was very active around the farm, helping with the chickens and calves. Betty was a former member of Women’s Farm Bureau and enjoyed playing in her card clubs. Betty is survived by her four children: Jeanette Hanson of Kenosha, WI, John (Peggy) Tueting, Jeff (Kathie) Tueting and Roger Tueting all of Elkhorn, WI, many grandchildren and great-grandchildren, sisters: Esther Puhl of Delavan, Mary (Walter) York of Lake Geneva, Enid Fish of Palm Bay, FL, Gail (Edward) Knapp of Elkhorn and Roxanne Johnson of Norris City, IL, and by a host of other relatives and friends. Betty was preceded in death by her husband of 57 years, John, Three children: Wayne, Karen and Jerry, granddaughter, Jessica and her siblings; Glenn Fish, Margaret Norgard, Doris Sopher and Ruth Murphy. Private family services were held at Hazel Ridge Cemetery Elkhorn, WI. In lieu of flowers, memorial may be directed to First Evangelical Lutheran Church, 1101 Logan St. Lake Geneva, WI 53147. On-line guestbook is at www.haaselockwoodfhs.com. Arrangements completed by Haase-Lockwood & Associates Funeral Homes and Crematory of Elkhorn.